Merger discussions between William Hill and Amaya have been terminated. Amaya reacts to inaccuracies. British sports betting giant William Hill and Amaya, the parent company of the world's largest real-money online poker room PokerStars, ended discussions about a potential merger between the two gaming companies. Talks began regarding a blockbuster merger began earlier this month with Reuters breaking the news last Monday that the two leading gambling entities were engaged in discussions of an "all-share merger of equals." Discussions continued until recently despite a number of issues that have already cropped up, the Telegraph reported Saturday. Such a deal would see William Hill, a leading British bookmaker serving as the sportsbook operator for a number of Las Vegas casinos, gain potential access to PokerStars' wide array of customers. PokerStars, meanwhile, would get to fast track its nascent sports betting operation by merging with an industry giant. "The potential merger would be consistent with the strategic objectives of both William Hill and Amaya and would create a clear international leader across online sports betting, poker and casino," the two companies stated in a press release at the time. However, at least one major shareholder of William Hill doesn't share that opinion. Parvus Asset Management, the leading shareholder of William Hill stock with a 14.3 percent stake, announced they'll be opposing any merger with Amaya, iGamingBusiness reported Friday. 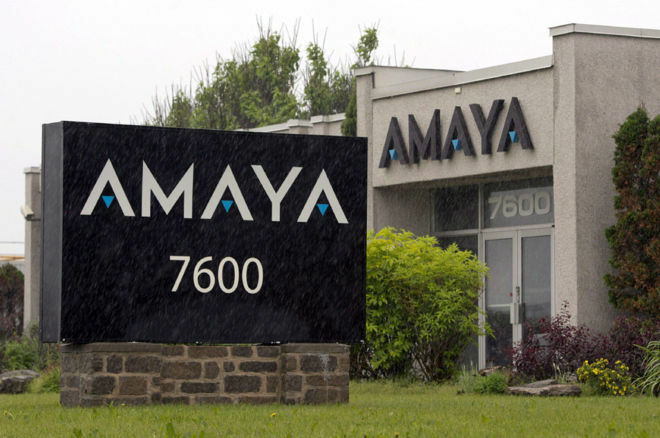 The firm asserts that Amaya's core business — online poker — is "mature, if not structurally declining." With that pessimistic assessment of the online poker landscape as the backdrop, they believe a potential merger would have had "limited strategic logic and would destroy shareholder value." To the delight of Parvus, it appears their viewpoint wasn listened to with the merger talks now terminated. "We're pleased that the board has decided to cancel the talks with Amaya, and, from our perspective, we're looking forward to working constructively with the board with regard to creating shareholder value for William Hill owners," Gensmann stated today to Reuters. After the merger talks were aborted, PokerStars rebutted the argument from Parvus about online poker's declining state. Vice President of Corporate Communications for Amaya Inc. and PokerStars Eric Hollreiser responded with a PokerStars Blog post titled, "A Response to Inaccuracies Regarding our Business," where he outlined the company's argument in four poker sections titled, "Poker," "Cross-Sell," "Loyalty and "VIP Changes", and "Cash Conversion, Capital Expenditure and One-Time Costs." Hollreiser began the blog by acknowledging the company's huge share in the online poker marketplace before adding that this might make an online poker offering unattractive to many of its competitors. PokerStars holds 71 percent of player traffic as of the second quarter of 2016. PokerStars is 10 times larger than its closest competitor. The network has attracted 2.4 million quarterly active unique players as of Sept. 30, 2016. Most of the revenue from PokerStars comes from tournaments including MTTs, the Sit & Go format and Spin & Go format. The last point is important from the standpoint that industry experts often refer to the PokerScout data trends, which show a decline in both ring-game players on PokerStars as well as in the entire industry. However, Hollreiser points out that this only captures a minority portion of the company's revenue stream as it "does not capture the continuing customer trend toward tournaments." He also added that the company is strong, with the number of active, unique players consistently growing. He said metrics used by the company show "healthy trends." Additionally, Amaya anticipates more future growth with potential legislation regulating online poker in a variety of markets, especially in the United States. Hollreiser said the company's casino revenue continues to grow and that they have developed into one of the largest online casinos despite only being active for two years and not engaging in any external marketing. Hollreiser admitted that the changes have "dis-incentivized some forms of high-volume play." However, the company believes that this play does not positively contribute to its poker ecology and has no effect on its earnings. In total, Hollreiser states that the changes have "had a net positive impact on our business and the overall poker environment." Hollresier ended the blog by disputing claims that the company's cash conversion of EBITDA of 39 percent is inaccurate due to it including the change in player balances. The company believes that free cash flow should exclude this since player funds are not operational funds and are held in segregated accounts. According to the company's second quarter conference call webcast presentation, actual unlevered free cash flow cash conversion from adjusted EBITA for that period was actually 69 percent. Amaya Weighing Offers; PokerStars to Change Hands Again? 888live London Snapshot: How Much Banter is Too Much Banter at the Poker Table?